Here's the chance to own the estate of your dreams. This amazing property allows you to live and work on the same parcel. 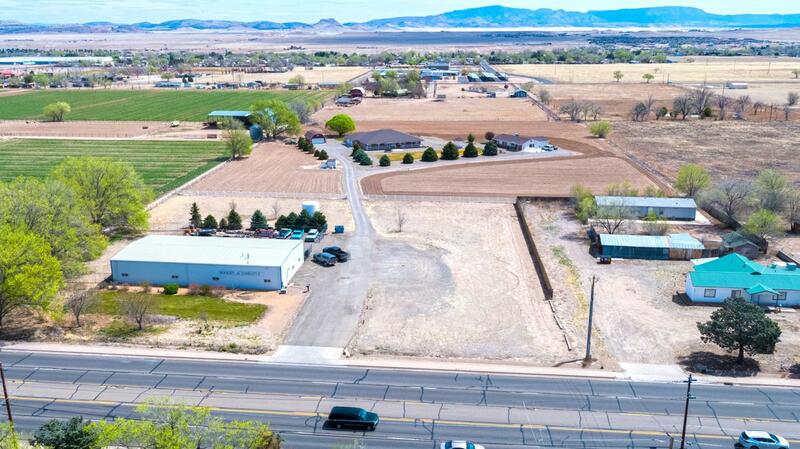 With over 300' of Hwy 89 frontage, the 5000 sq. ft. clear span building was engineered by Strat-O-Span Buildings. There is a built-out office, parts room, 2 bathrooms one includes a shower, 6'' insulation throughout the whole building, 3 22' wide by 14' tall overhead doors. 2 overhead doors have electronic openers on them, single phase 220, air lines plumbed throughout building, natural gas heater and hot water heater, fire alarm and a front-end alignment pit. There is a fenced yard outside for securing vehicles and personal property. A large water tank has been installed on the property for fire suppression. There's lots of room for future buildings, (see More)parking or to split and resale a portion of the 2.75 acres of Hwy frontage. There are two custom homes on the back 5 Acres. The main house is 3942 sq. ft of livable square footage on the first floor. The basement sq. footage is not included. The guest house is 1512 sq. ft. You will notice the attention to detail in every part of the home's construction 2X6 framing, 48" of blown insulation in the Attic, Alcoa Aluminum Roofing, Dual Pane windows, two bay windows, a 54' long covered patio to watch the sunsets from, a sunroom, a 3 car garage attached to the main house, a 2 car garage attached to the guest house, a 2 car detached garage, 220 power and an amazing well. The main house features a formal dining room, office, expansive craft room, 2 big walk-in closets and a jetted tub in the Master. The kitchen has custom cabinets, double subzero fridges, a large island and an incredible pantry. Outside you will fall in love with the garden area, variety of trees, and the dreamy farm setting. Come see why you will be proud to call this home!